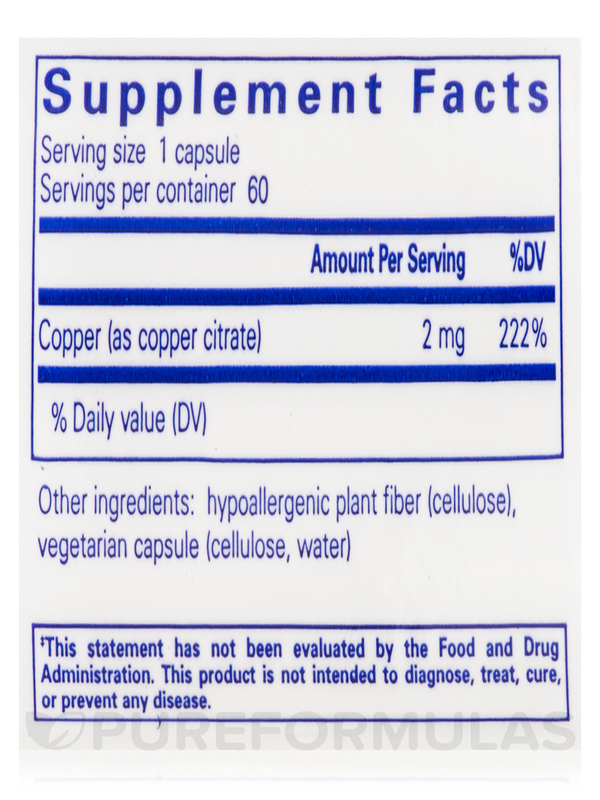 Copper (citrate) by Pure Encapsulations was recommended by my doctor due to my Spectra Cell showing an extremely low copper. Head has been less foggy and much clearer thinking. 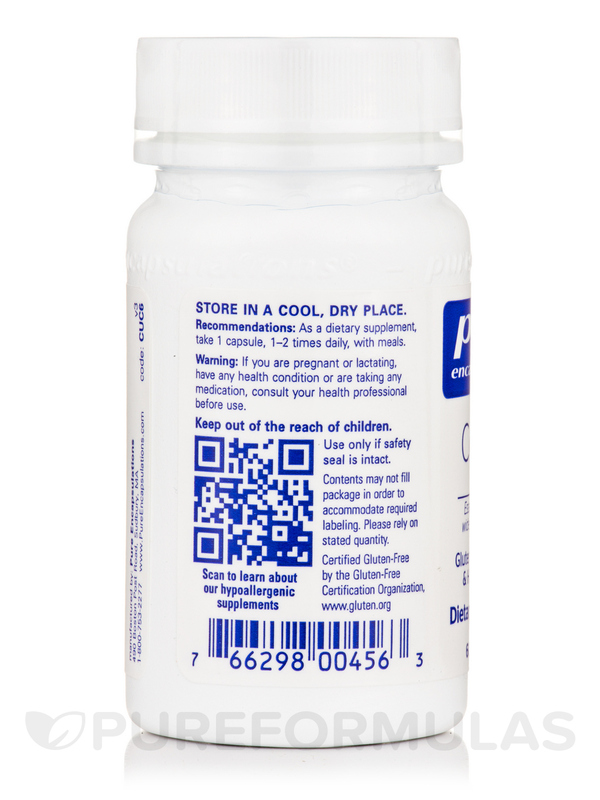 I don't have as much grey hair as I did and my back feels better after taking Copper (citrate) by Pure Encapsulations. I was so stiff and my back was so sore until I started taking this copper. Minerals are required to support the wide range of physiological processes that occur within your body. One of them is copper‚ which is contained in almost every cell. Copper activates a variety of different enzymes‚ or proteins‚ that are important for the breakdown and use of glucose. It is also an essential mineral in the enzyme lysyl oxidase; lysyl oxidase may help your body produce the structural proteins of collagen and elastin‚ which are primarily found in your hair‚ skin and bones. Copper also assists with the iron absorption necessary to form red blood cells‚ in addition to breaking down and using proteins and DNA. The mineral also plays a key role in forming the fatty membranes that surround and protect your nerve cells. Your body primarily absorbs copper from seafood‚ wheat bran cereals‚ nuts‚ and seeds. Copper stored mostly in your bones and muscles. Meanwhile‚ the amount found in your bloodstream is controlled by your liver. Copper deficiency is rare‚ but it can occur if your diet is dependent upon tube feedings‚ if you have had intestinal bypass surgery‚ or when there is too much zinc in your diet. If your doctor finds that you have copper deficiency‚ he or she may recommend copper supplements. A copper supplement like Pure Encapsulations’ Copper (Citrate) can be especially helpful if you’re suffering from brittle bones‚ or if you’re taking zinc‚ calcium‚ or manganese supplements; when taken in combination with these other minerals‚ copper may help discourage bone loss in post-menopausal women. 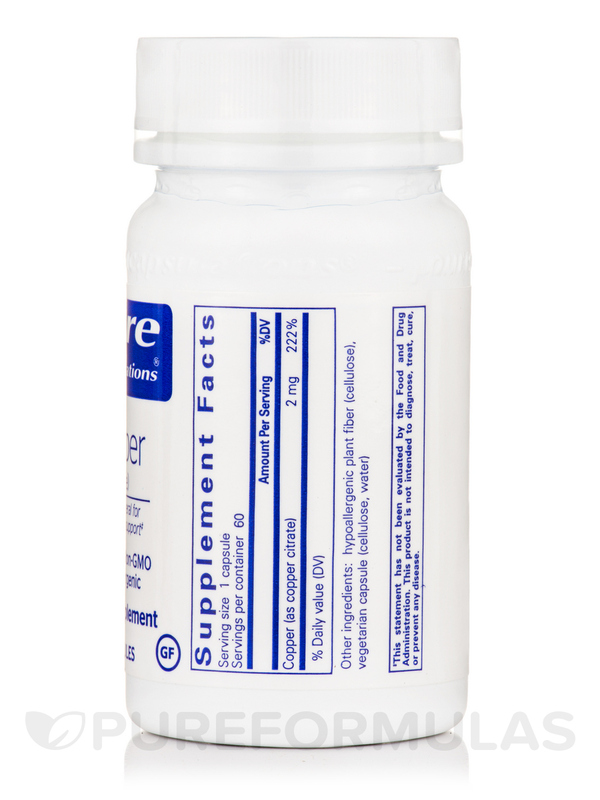 Each bottle of Copper (Citrate) by Pure Encapsulations contains 60 vegetable capsules‚ which is enough to last for up to two months‚ depending on your dosage. Have to be careful not to get too much. 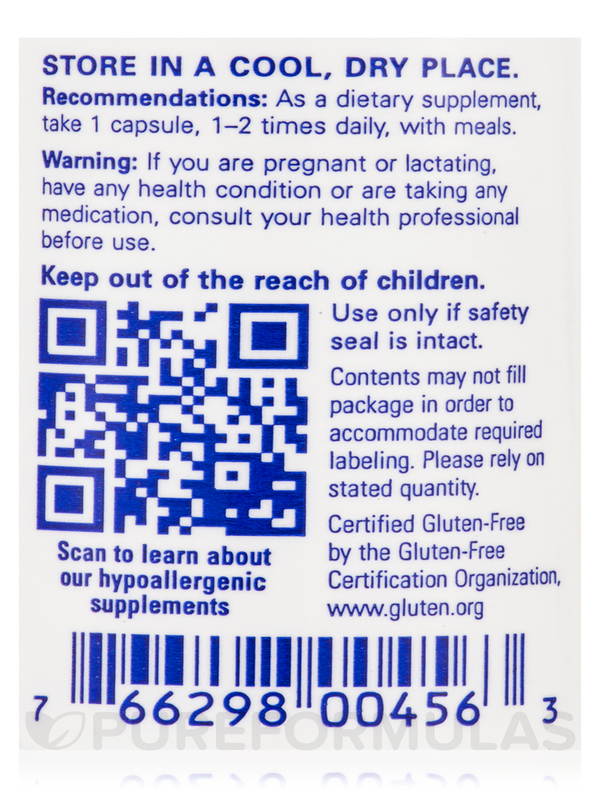 I've had trouble finding this Copper (citrate) by Pure Encapsulations dosage in my local health food store. 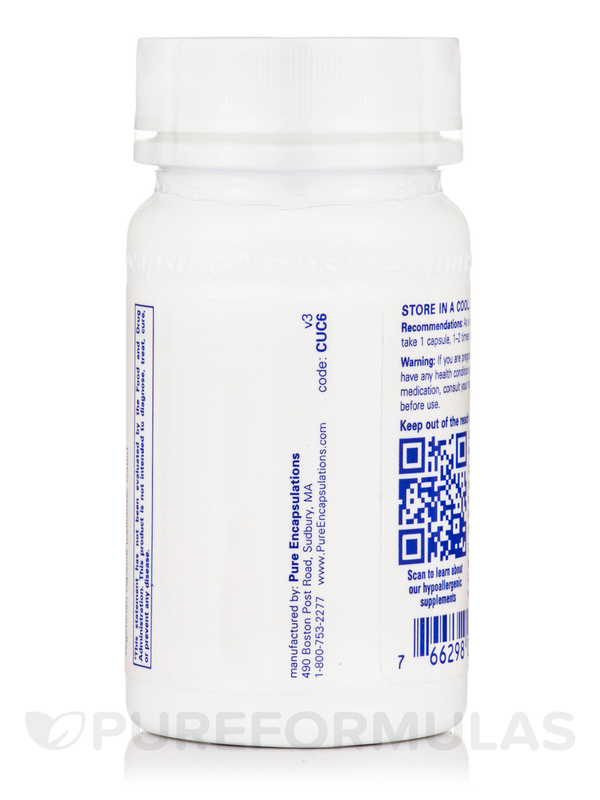 It is the right dosage and easy to take and at a good price! Right dosage,easy to take and at a good price! Easy to take. Smaller pill. Easy to identify. 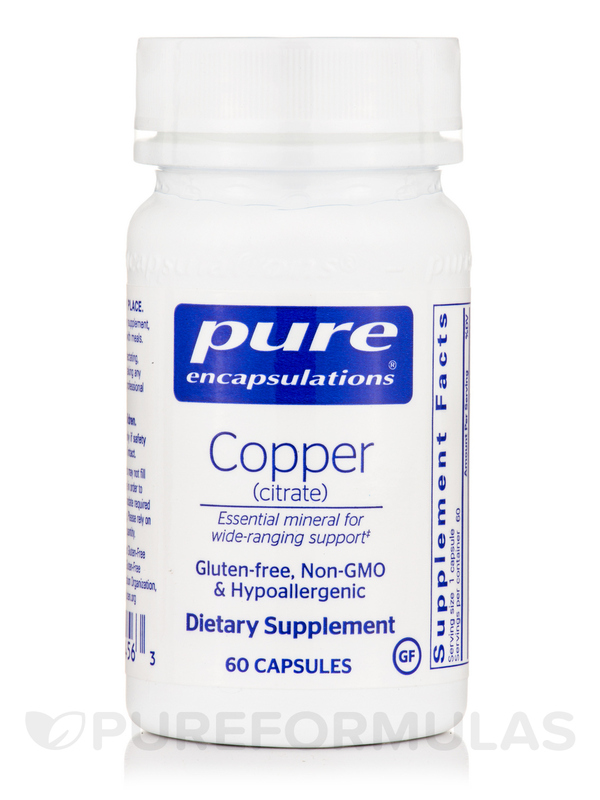 I am very pleased with Copper (citrate) by Pure Encapsulations I could not find it readily in my area. It is exactly what my MD ordered for my problem. The convenience and fast delivery is wonderful I intend to continue to order it from PureFormulas and other items as I need them. Do you ship to thailand? Thank you for contacting PureFormulas. We do ship internationally, however, there are products that we carry that are not available for export out of the United States. For future reference, if the product can ship to the respective country, then it will show up as an option on the shipping page of the site.